This little girl is looking for a new home. She has a new valentine’s day outfit and she’s waiting for a little girl to take her home and love her. You can find her here if you’d like to invite her to stay at your house. You may find some other things you’d like while you’re there. 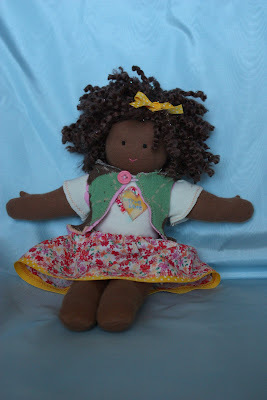 I love the dolls you make. They’re simply amazing. 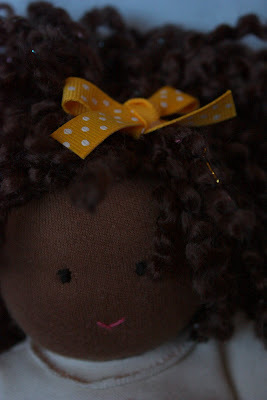 We got to take this doll home and help Nie at the same time! My daughter and I both fell in love with her at separate times and have decided to share – although I think I’ll probably have to do a little more sharing in the end! 🙂 Thank you for your generosity and kindness.